Over the next decade, the landscape of the factory will change dramatically. Factories of the future will be measured not so much by their ability to produce, but to produce with the most flexibility. The competitive advantages of real-time data acquisition and the ability to respond in timely and adaptive ways to market demands will drive businesses to adopt more pervasive web-based technologies. Imagine a scenario in which all devices on the factory floor (regardless of manufacturer) seamlessly and instantly communicate with one another about the quantity of material entering the line, as well as the quantity rejected from the line, and are able to alert the factory ERP (enterprise resource planning) system or MES (manufacturing execution system) about inventory on demand and initiate reorders when supply becomes low. Imagine further that “Big Data” is able to enter this factory from the outside world, providing systems with statistics about consumer buying habits and automatically increasing production at times of year when data trends indicate that demand for a product is at its highest. Tapped into a global data stream, the factory of the future can not only automate smart processes to meet its own internal objectives, but can anticipate opportunities and failures based on external events before they occur. Figure 1: With access to cross-market data, the factory of the future can predict, respond, and adapt to market trends to optimize business processes and personalize the consumer experience. At the heart of this future factory is the interconnectivity of devices across one unifying medium, both within the factory and beyond. Many factories of today leverage specific industrial protocols (like EtherNet/IP™ or PROFINET I/O®) that require most automation equipment to speak the same language, as well as specialized skill to program and install equipment on the line. What if the topology of the factory floor looked more like the Internet, built on open standards where devices – regardless of manufacturer or type – could speak to one another without limitations? The consumer world has already honed in on a single medium of communication; a global system that offers access to more information, faster, and from anywhere. This network is based on the most ubiquitous communication media of all: Internet protocols. The World Wide Web and devices that use it are expanding into every market thanks to simple, open standards, making the vast majority of collected data available on the Internet. As factories of the past have leveraged advances in steam power, electricity, information technology, and automation to gain a competitive edge in their markets, the factories of the future will leverage the Internet to drive the world’s next industrial revolution – the Industrial Internet Revolution. Businesses looking to integrate more seamlessly with the global network via the World Wide Web will replace traditional industrial platforms like software and programmable logic controllers (PLCs) with technologies that break free of device-, operating system-, or protocol-dependency. Secure cloud computing will replace local networks, web services will replace software, and devices with Internet protocols will replace devices that use proprietary advantage to bind factories to the limited industrial protocols of the past. By implementing these changes toward an Internet infrastructure, businesses will be able – in a sense – to transcend the limitations of space and time. Information captured by devices on the factory floor will be accessible from any location in real time, opening the communication gateway both vertically (connecting machines across the factory and enabling instant availability of data to stakeholders within operational silos) and horizontally (one framework for the entire supply chain, across departments, business units, global factory locations, and even into other markets). 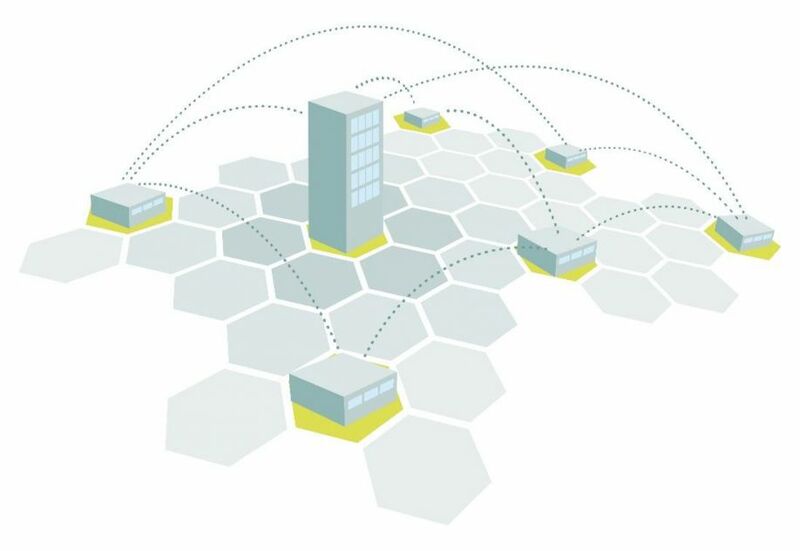 Figure 2: Factories in the Industrial Internet Revolution will strive for real-time, pervasive connectivity using web protocols to seamlessly integrate devices both across the factory floor and beyond to remote business sites and even to external systems. The key to opening this gateway is Internet-accessible technology. Any device with an IP address can be located and accessed by web services that establish a common, open network for all devices across an Internet framework. This Internet of Things (IoT) is all-encompassing, defining a network that acquires data across every possible “thing” in the world – from personal fitness trackers, to weather monitoring, to smart homes, to factories. When discussing the factory in particular (where industrial devices such as sensors, switches, robots, automation machines, and mechatronics are the “things” that are connected), this subset of the Internet of Things is referred to as the Industrial Internet of Things (IIoT). The Industrial Internet of Things unites consumers and businesses on a single Internet medium, where Big Data collected by all of the elements in the network can be leveraged to make faster, more significant, and more automatic business decisions. Figure 3: In the future, a pharmaceutical manufacturer may use statistical data made available by the healthcare system over the World Wide Web to customize production of medications to meet trends in consumer health. To give an example, imagine the effects of exposing pharmaceutical manufacturing to Big Data from other sectors. The healthcare industry may collect data on the number of patients visiting medical facilities to address a common infection. With this data shared on the global Internet, connected companies in the pharmaceutical industry could leverage this metric to increase their investment in drugs that address the infection, or to increase production of drugs in certain areas where the infection is most common. The use of IoT for this purpose yields enormous benefits for both consumers and businesses alike – consumer health issues are addressed quickly and the most responsive manufacturers become the most profitable. Although there are many diverse interpretations of the Internet of Things, in its most elemental state, the IoT is essentially a network of devices that 1) have local intelligence (devices that are able to receive, process, and respond to data with other machines – also known as “smart” devices); 2) share a common service or application program interface (API) that allows them to communicate with each other in a useful way, even if they speak multiple protocols; and, 3) are able to push and pull status and command information from the networked world.1 In other words: network-friendly devices that are connected to the global Internet by some means. The concept has been muddied in the discussion of the Industrial Internet of Things due to existing and predominant network technologies still at their peak in terms of demand and adoption. Hot topics like M2M (machine-to-machine) systems and industrial networks – while important elements in the progression of the factory of the present to the factory of the future – do not themselves embody the true concept of the Industrial Internet of Things. For instance, these elements alone do not provide a network of devices connected to the global Internet to share, analyze, and respond to the mass quantities of data produced in machine-to-machine transactions, which is key to unlocking the value of IIoT. 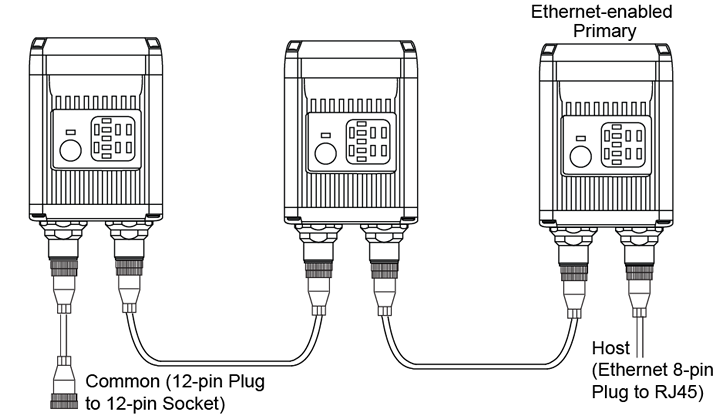 Figure 4: This diagram illustrates machine-to-machine connectivity, where several barcode readers share data with each other and communicate data with a network over the EtherNet/IP protocol. In the factory setting, industrial “machine-to-machine” (M2M) networks have widely been used to connect equipment across the floor to enable discrete automated processes. Since 19802, PLCs have used industrial protocols (like EtherNet/IP, PROFINET I/O, and others) to establish a line of communication from one machine to another by capturing and sending data from a central hub. Every device uses one or a set of proprietary protocols, so connecting one device to another means finding devices that speak the same language. 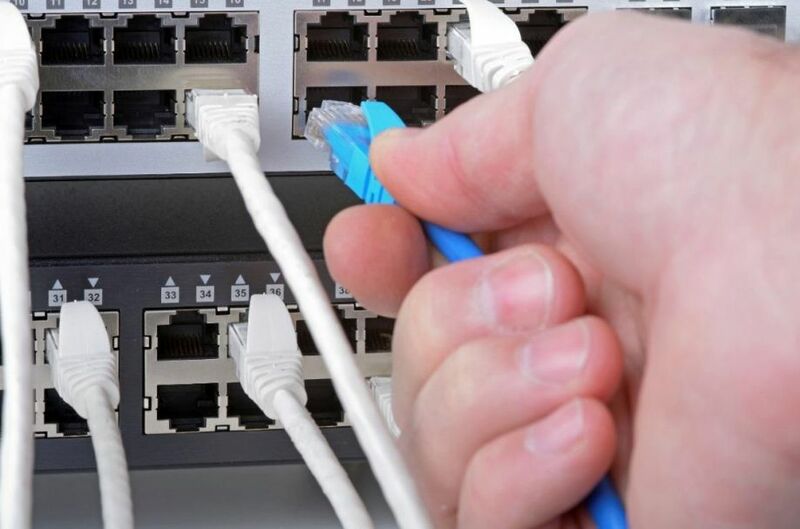 For instance, in order to connect to an EtherNet/IP network, the device (like a barcode reader, robot, or PLC) must be able to communicate over the EtherNet/IP protocol. Code developed to support these systems, data collected by them, and the interfaces that access them are unique to each particular system and therefore are not easily usable in other systems. First, this is an obstacle to data sharing across the factory, since devices used for different purposes don’t always speak the same language. Second, these industrial devices do not speak the language of the Internet (HTTP being the predominant one, since it is the protocol for the World Wide Web). Data sharing over an industrial protocol like EtherNet/IP is largely limited to the local network and devices that use it, impeding access over the global Internet for a true implementation of IIoT. 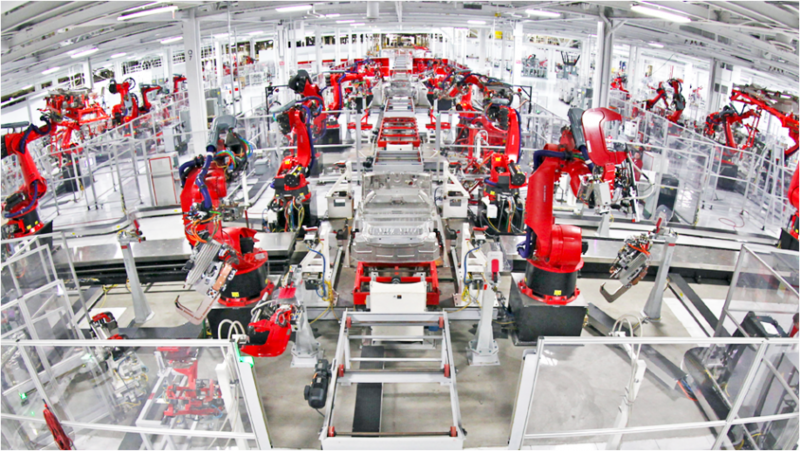 Figure 5: An automotive manufacturing facility uses a highly-sophisticated network of sensors and robotics, which send and receive data across the factory floor to fully automate vehicle assembly. The true spirit of the Industrial Internet of Things is to develop a collective intelligence about systems, equipment, and people by sharing data across many diverse media and industrial sectors. Creating an “intranet” of connected devices within a single factory is effective for establishing processes that may be smart enough to sustain themselves. However, the data they acquire has no way in or out of the factory to allow it to respond to fluctuations in other business locations, enterprises, or markets. A true implementation of the IIoT connects the factory with other factories, suppliers, or customers, enabling the factory not only to meet today’s goals but to predict tomorrow’s challenges. 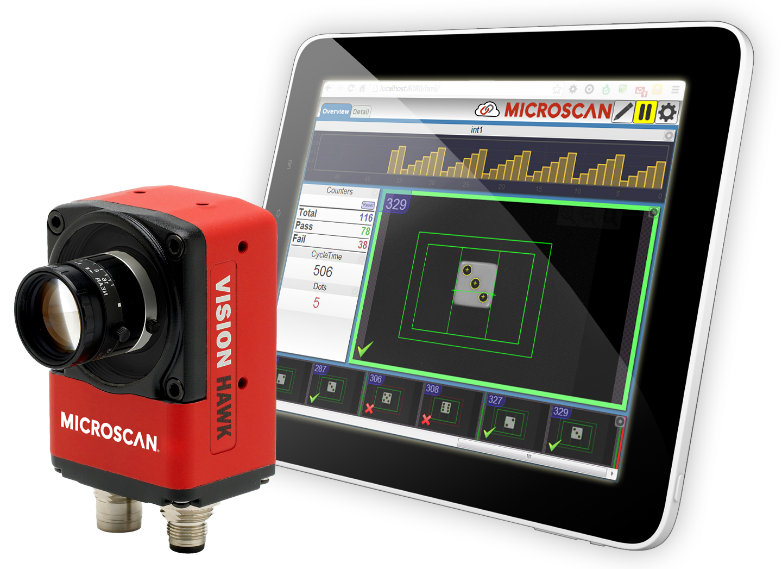 Figure 6: A web user interface displays inspection data from a machine vision system on the factory floor, allowing inspections to be monitored through a web browser on any local device. Although web browsers are primarily used to access the World Wide Web, they can also be used to access information provided by web servers in local networks or files in file systems simply by locating an object with an IP address. Devices that can communicate with web browsers provide the most device-agnostic method of accessing data (since web browsers are universal to most common devices such as PCs, smart phones, tablets, and more). This means data can be accessed in real-time across a number of systems, even remotely, as long as the device’s IP address is accessible. The problem with this use of web browsers is that in the majority of cases the target device must be accessed on a discrete local network. However, once this device’s information is able to be pushed to the global Internet, the true IIoT can begin to take shape. The common theme across these scenarios is a lack of availability of data beyond the factory walls. 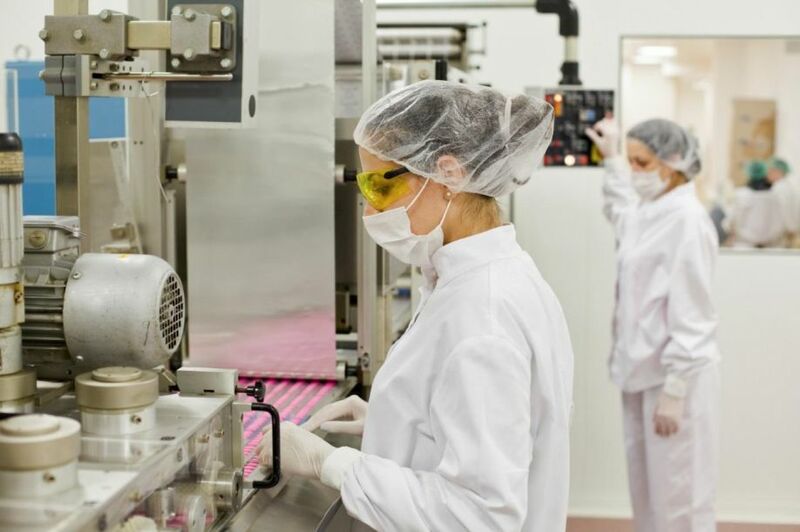 Factories using M2M systems are well-integrated vertically to support the facility’s lifecycle, but are blind to the overall customer or product lifecycle. This is largely where the factory is today. The factory of the present reflects, in many ways, a personal computer before the dawn of the World Wide Web. Operating autonomously, a PC can do quite a bit with its own local data using its internal network of proprietary operating systems and installed software. However, the data acquisition process is slow and very few entry points are available, the primary entry point being manual input from a human operator. Even when the PC is connected to other devices on the local network, such as a printer or wireless speaker system, it accomplishes little more than the repurposing of its own information. 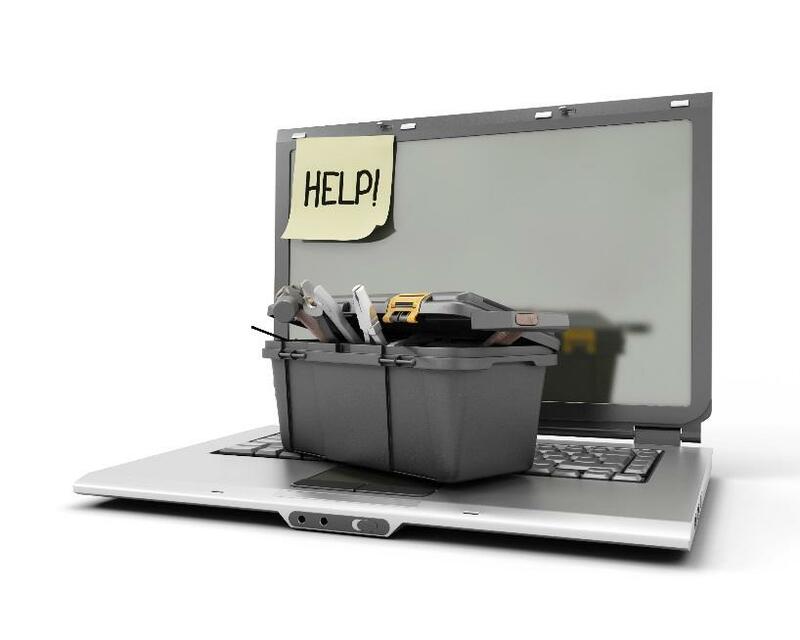 Whatever information the PC needs from the outside world, such as maintenance or software upgrades, must be supplied on a case-by-case basis via manual intervention. It isn’t until the PC is linked to the global network – the World Wide Web – that it is able to communicate with other “things” in the world. This shared data stream enables the PC to access information from anywhere in real time, allowing it to check for available upgrades from software providers and even upgrade itself when needed. Figure 7: Disconnected from the outside world, a machine relies on manual intervention to receive data, maintenance, and upgrades. This level of autonomy is the ultimate goal of the Industrial Internet of Things, allowing machines to communicate with machines in any sector and to make predictive analyses that drive self-sustaining, profitable activity. For the factory to reach this level of performance, however, a transition to a vastly new infrastructure is required. As noted previously, factory devices first need to be Internet-accessible (that is, to be IP-addressable). Second, web services need to be established to replace protocol-dependent systems to link all factory devices within a local network and beyond. Third, businesses across vertical markets must be willing to share collected data over a common Internet in order to react to global trends in a meaningful way (this being the biggest hurdle to overcome). The fact is that a practical application of the Industrial Internet of Things is still largely theoretical. Most factories have not caught up with the Internet trend, due in large part to the lack of available technology. Suppliers of common factory technology today (like MES, ERP systems, PLCs, and other industrial protocol systems and devices) may resist the migration to Internet services because it diverges too much from their business model. With few alternatives on the market, the factory of the present has little choice but to implement traditional industrial technology (commonly EtherNet/IP or PROFINET I/O systems) until more Internet-friendly systems become readily available. The result is that the factory of the present continues to function in a silo, based on locally-networked technologies, relying on manual input to understand and respond to the events of the outside world, much like the PC before the World Wide Web. 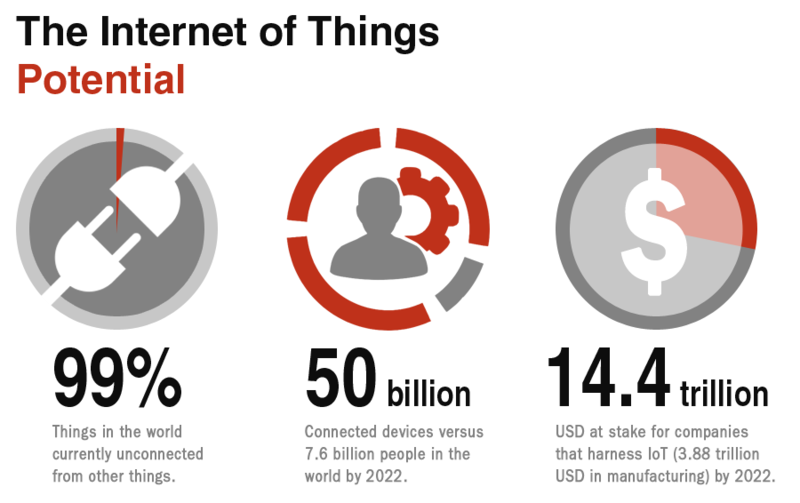 Figure 8: Over the next 10 years, the Internet of Things will be driven by the potential to connect billions of devices to one rapid, pervasive system, and by the tremendous value to companies who will make this possible. For the factory of the present, the ultimate goal should be to get on board with the IIoT trend as soon as possible. This doesn’t mean achieving a full implementation in the next year, perhaps not even in the next 10 years, but taking small steps toward Internet-based connectivity now will be critical to being ready when factory technology finally catches up with the Internet on a global scale. The very beginnings of Internet-friendly technology are just now emerging on the market. Leading factory solution providers, in anticipation of an industrial movement toward Internet-friendly technologies, have begun to provide both IP-addressable hardware and web services to connect devices on a level that is simpler and more universal than traditional industrial protocols. Many of these innovations use web browsers as the standard software to host web-based user interfaces, allowing connection to factory systems from any web-enabled device and data that is portable across devices, local servers, and the Cloud. This infrastructure supports remote and real-time connectivity with factory operations, even if they are not connected to the World Wide Web (yet). Regardless of where a particular factory may be on the road to the IIoT, the Internet Revolution is well on its way, and there are several changes that companies can make now, even in basic ways, that will prepare them to defend their competitive position when this new era arrives. To prepare for Internet connectivity, data needs to be available in a format the Internet will understand. Factories that aren’t currently recording electronic information should begin transferring to a digital medium quickly. All data points that are trackable and relevant to business profitability should be recorded. This data can be tracked using machines like barcode readers and machine vision equipment to translate 2D information from barcodes and images into strings of data. For instance, in electronics manufacturing, it may be relevant to record the number of PCBs that enter an assembly process, as well as the number that are rejected due to defects or assembly errors, in order to achieve optimal operational metrics. This can be done using a barcode reader to decode a symbol on a board, indicating 1 for a new PCB and -1 for a rejected PCB. Figure 9: A barcode reader decodes a symbol on a PCB to acquire part data and log the part as it enters the assembly process. Data should also be standardized using common, repeatable tags (within data strings) that are relevant to the operations being performed. This enables digital data to be filterable, sortable, and actionable within a digital system or database. For instance, the encoded string of data on a series of milk bottles could contain a batch number or a production date that would allow filtering data to show where each product came from, or to isolate a batch for a day when production was compromised. Figure 10: This example of a GS1-compliant Data Matrix symbol illustrates how common tags (01) and (17) are used to identify and separate meaningful strings of data encoded in the barcode. Digital, filterable data also enables historical logging and traceability operations. The ability to look back on data and see historical data trends, issues, and events allows companies to take predictive actions to isolate problems, avoid losses, and boost gains when it is most relevant. If this information were decipherable by the World Wide Web, companies would have immediate, remote access to these data points and be better equipped to drive cross-facility optimization or to take actions to stop issues on a global scale before they become catastrophes. Figure 11: Digital data acquired from parts at various stages of production build a product’s manufacturing history. This allows companies to track where parts are at any given time, automatically guide them to the next stage of production, or trace them back through operations to pinpoint the source of errors. Good practice in preparing for the IIoT is replicating its objective: to be more interconnected, more visible, more real-time, and more self-driven. Ever since the Internet was integrated with consumer devices, the expectation and demand for data availability and speed has grown exponentially. The same can be anticipated of the IIoT in the next 10 to 20 years, with a projected 50 billion IP-addressed “things” connected to the Internet by 20224. The amount of data that will be ricocheting from machine to machine will be incalculable. The importance of establishing a means to act and react instantly and automatically to relevant data in an industrial setting can therefore not be understated. Figure 12: A company can establish fully-automated operations by implementing devices throughout the factory that acquire, communicate, and react logically to massive amounts of data. Although human operators will still have their place in the Industrial Internet Revolution, that place will move farther away from data collection and transmission. Machines are tireless, fast, accurate, and reliable in performing prescribed tasks and retaining information. Automated systems that rely on sensors in machine-to-machine environments are already able to receive and send information to perform tasks that not only meet operational goals but predict operational obstacles. For instance, a machine vision camera on a packaging line not only can read barcodes to extract product data, but can grade the degradation of barcode print quality to alert other machines (or human operators in many cases today) to perform routine maintenance to barcode printers before codes fall below acceptable standards of readability. 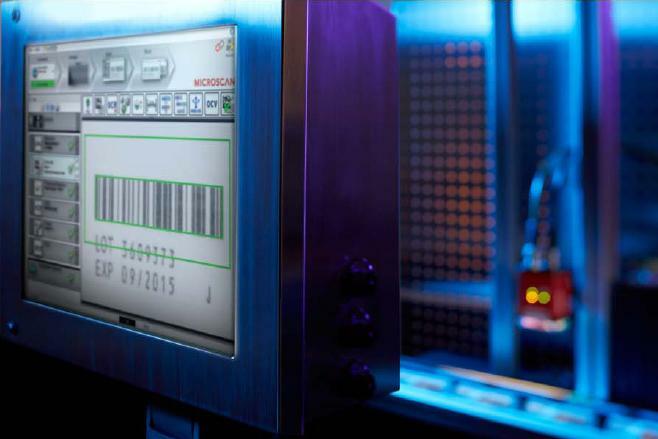 Figure 13: A machine vision system grades the print quality of a barcode applied to packaging and monitors for any trending degradation in the print process. It is critical for factories of the present to begin to implement automated data acquisition and control components into their operations to collect and respond to data faster. Automation-savvy companies will be well-prepared to utilize the massive amount of information gathered by the Internet. Systems that use Big Data to react to both internal and external trends will gain the advantage in their markets, driving production that is the most flexible to environmental conditions and consumer demands. Implementing automated machines enables companies to keep up with the speed of business today and to prepare for the speed of the Internet soon to come to the factory. Figure 14: Connecting machines to networks allows data to flow from machine to machine, enabling automated operations beyond the capabilities of a single device. The foundation of the IIoT will be communication. Devices will communicate with devices, systems will communicate with systems, and ultimately the entire consumer-market-business structure will be one fully-connected communication engine via the Internet. But before achieving global synchrony, a few connection points have to be established from the sensors on the factory floor to the World Wide Web. There are a number of steps the factory of the present can take today to get ahead of the game and well on the way to full Internet connectivity. 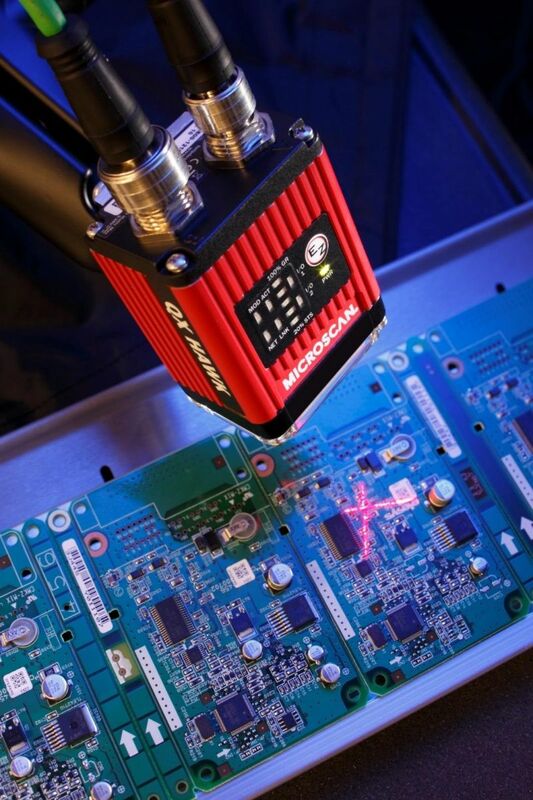 First, industrial devices (such as sensors, data acquisition devices, and measurement tools) should be connected to industrial controls. A barcode reader that communicates a decoded string of data from a product to a PC is sufficient for basic product information logging, but where does the data go from there? For information to be useful across factory systems and beyond, it should not be limited to a single local machine, but shared to a central hub. From a control device, data can be communicated out to other machines or software on the factory floor. This is the first step in establishing machine-to-machine communication, which allows factory automation to occur. Figure 15: Devices that perform different functions in the factory can be connected, allowing the data acquired by one device to regulate the activities of another device automatically. Second, multiple devices in the factory should be connected to the same control system to unite operational processes over a network. An industrial network provides the factory with its own nervous system that is able to communicate data autonomously. Instead of relying on a human operator to feed and transfer data from machine to machine, machines are able to speak directly to one another and react in a programmed, logical manner. 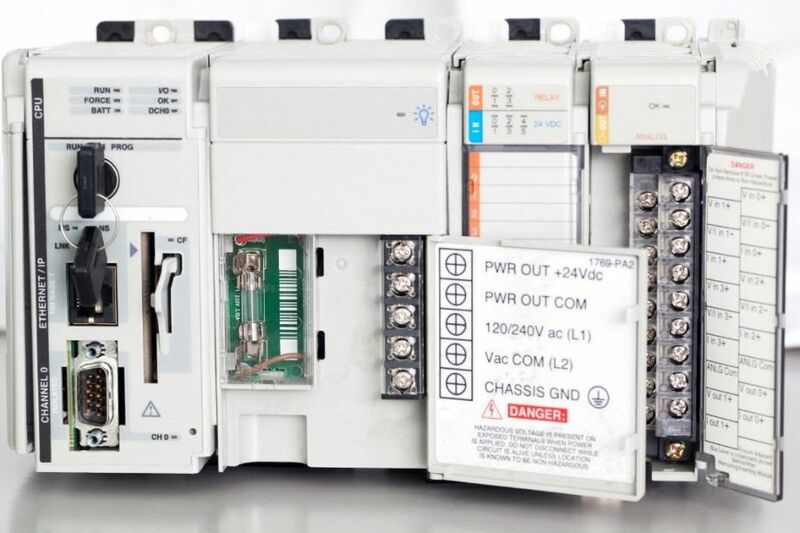 Unsurprisingly, the most common control system used in industrial networks today is the programmable logic controller (PLC). This represents the informational hub of all devices in the factory. Figure 16: A programmable logic controller (PLC) that networks local devices over EtherNet/IP. Third, a network within a factory should be connected to other critical business systems by way of some unifying service or software. Data that is reported to a PLC should also be able to be communicated to the purchasing system, sales order system, and beyond. This can be accomplished by an MES or other similar operations management platform to enable cross-department communication regardless of various device protocols, allowing factory data to be put to practical use. As described in an earlier example, factory devices that are able to log available quantities of PCBs in an assembly line can communicate restock orders to a materials purchasing unit by sending data to an ERP system. The problem lies in getting unique devices, with their own purposes and manufacturers, to communicate in the same language. Although the sensors, PLCs, and software that network a factory may all communicate over one or more industrial protocols, business systems outside of the factory floor may use other protocols for communication. Using protocol- and device-agnostic services (many of which today are proprietary platforms developed by companies specializing in this kind of cross-system connectivity), information can flow freely and vertically throughout a business unit, optimizing activities across operations. From here, the now-unified single-factory operational engine extends outward to supplier factories, customers, or – and possibly by way of – the World Wide Web. The key to achieving this level of connectivity is to unify the way systems communicate as much as possible. Networks that rely on web services for interconnectivity will break away from device-based operating systems and protocol limitations and achieve open communication across the most common platforms. REST (representational state transfer) APIs (application program interfaces), for example, are developed to communicate in the ubiquitous language of the Internet (HTTP, URI, JSON, and XML). Developers today are using REST APIs to create protocol-agnostic services that enable cross-platform connectivity – from device to industrial control, across entire networks, and between systems. Using these services in the factory of the present will put companies at the forefront of their markets when it comes time to finally integrate with the Internet. A significant outcome of connecting devices is the ability to extend the reach of data far beyond where it was originally acquired. In the IIoT, achieving a connected factory will be merely a prerequisite to competing in global markets. The Internet pervades spatial and temporal distances, and more and more connected devices are feeding data into the collective reservoir of the World Wide Web. Entities that tap into this global data stream will become as pervasive as the Internet itself, unlimited in their ability to use critical data at any time, from anywhere, across both vertical and horizontal processes. 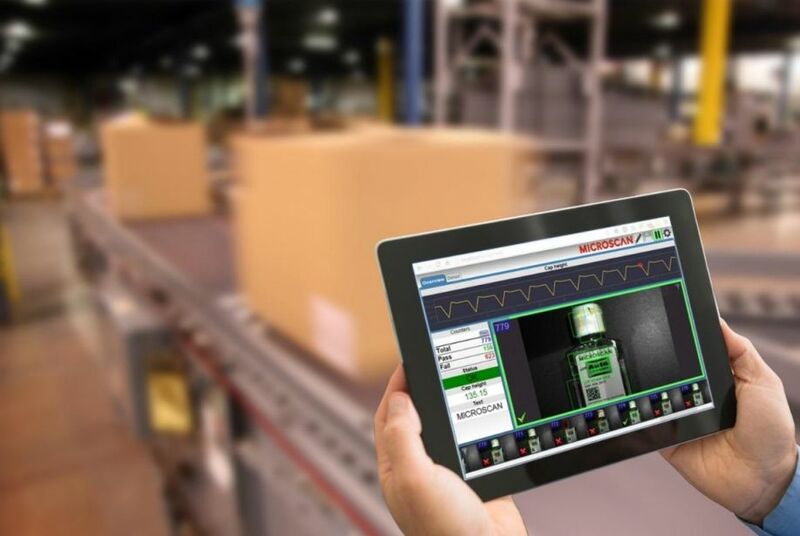 For vertical processes connected over the Internet, as an example, manufacturing decision makers will gain visibility to current factory conditions anywhere – from the office, off-site, or on the go while walking the factory floor. Line-down issues, over- or underproduction, equipment maintenance needs, and other critical events requiring analysis or manual intervention may be communicated to floor operators via web-based monitoring interfaces or via texts and email alerts sent to their mobile devices. With real-time data always available, managers are able to implement operational changes in the moment to optimize production output, never overlooking a potential risk or an opportunity to adapt for an operational advantage. Figure 17: A factory control system that uses Internet protocols to send status updates via email allows an operations supervisor to keep track of production conditions from anywhere using his smart phone. In horizontal processes, data will be communicated across the Internet to and from any entity in the product life cycle. Consider the innumerable elements that can affect a product’s journey from material acquisition to assembly to shipping to the store shelf. Data acquired by sensors located anywhere in the world, when connected to a global network, can be used to track and optimize the flow of business from end to end. Connecting the factory to this Internet of Things allows operations to communicate with the materials supplier, through the logistics chain, to the retail location, to the consumer. For instance, a food and beverage manufacturer might use Big Data collected on the World Wide Web to tailor operations to both economic and environmental climates. Point-of-sale data, weather forecasts, fleet routes and truck locations, as well as production data can be combined to predict depleted stock at a retail location, reroute trucks during extreme weather conditions, and reduce overproduction risks to eliminate stale inventory. Figure 18: A logistics manager uses web-available data about weather conditions in his fleet’s distribution routes to ensure that trucks arrive on time for pickups and deliveries. The farther data can be communicated, and the more immediately data can be made available across any distance, the faster and more flexibly data-driven decisions can be made. This is where the universality of web services (already speaking in Internet protocols) will trump the locality of industrial-protocol-based networks in the IIoT. There are an increasing number of options for achieving connectivity over the language of the Internet using HTTP devices and web services that link multi-protocol systems into one unified, Internet-friendly framework. The factory of the present should begin to incorporate these tools now to realize the benefits of immediate, mobile data access. Those businesses that adopt a culture of pervasive connectivity early on will find it easy to integrate with the Internet when it becomes the prevailing medium of industrial communication. Beginning with simple steps like establishing a monitoring interface that allows an operator to see the results of a camera-based inspection through a web browser, or using a similar web service to trigger email alerts when an inspection fails, puts a business on the right path toward the IIoT now. Figure 19: Internet-friendly devices are making their way into industry in the form of HTTP-enabled sensors and web services, setting the stage for an eventual integration with the World Wide Web. Getting the elements of the connected factory to communicate over web services will be a necessary condition of joining the IIoT. For the factory of the present, it is critical to begin incorporating tools with Internet-friendliness in mind – that is, tools that speak the language of the Internet. Companies in the early stages of implementing automation technology or factory connectivity have the benefit of choosing web-compatible tools as the foundation for their operations. These companies should consider investing in devices that have a native ability to speak in Internet protocols, such as HTTP. These devices will become more commonplace as the language of industry shifts, and will be simplest to connect to services that can speak directly to the Internet when the World Wide Web (which also speaks HTTP) comes to preside over all global industrial activity. Industrial HTTP devices are just now making their way into the market as factory equipment providers look ahead to the oncoming Industrial Internet Revolution. To make these tools simple and accessible to factory operators, many HTTP devices host their own web user interfaces. These interfaces offer users an intuitive environment in which to access, monitor, and control devices using web browsers. By entering a device’s unique IP address into a browser window, data acquired by the device is served up and organized into a simple graphical window that appears and behaves much like common software platforms today. Unlike software, however, web UIs are not downloaded or installed – they are accessible on any device with a web browser. This frees the user from operating-system or protocol limitations and makes real-time data available across platforms and even remotely when necessary. 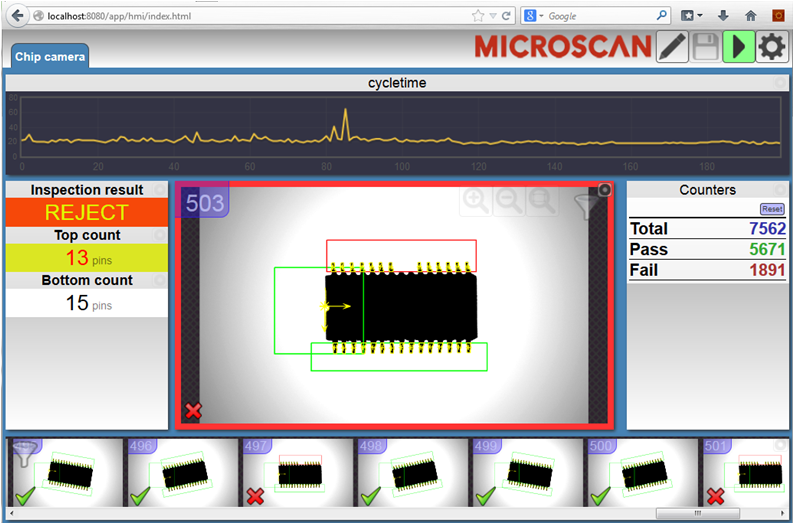 Figure 20: A web-based user interface displays results of a chip inspection in a browser window. Unlimited by proprietary software, operating systems, or protocol specifications, this inspection to be monitored in real time from any web-enabled device. Businesses with existing networks using traditional EtherNet/IP sensors or PROFINET control devices are likely not looking to replace their entire factory floor with HTTP devices to achieve Internet compatibility. The investment in time and energy for such a migration would be akin to rebuilding the factory from scratch. Luckily, today’s most innovative industrial systems manufacturers understand this and are engineering a number of new platforms that bring devices with and without HTTP communication capability onto unifying web services. It is worth noting that many new HTTP devices feature development platforms for web APIs, which can be custom-engineered to connect over web protocols (beyond a device’s proprietary web UI) into existing non-HTTP systems or interfaces. There are also many device-agnostic services offered by web service providers that use this same API architecture to connect multi-protocol devices over HTTP, and optionally serve data into browser-based interfaces just like devices with built-in web UIs. Any service that offers a REST API can be adapted to connect and serve up data in an Internet-friendly medium for companies wanting a custom unifying web system to connect existing devices. With the factory on the brink of web integration, Internet-friendly technologies are soon to become the expectation in factory equipment. Already, several options for connecting the factory over web services – even if these services are limited to connecting local area network devices for now – are gaining momentum in the industrial manufacturing space. Factories of the present, with or without traditional industrial networks in place, should look to transform their operations by incorporating these Internet-friendly tools so that their operations will be speaking HTTP when the Internet arrives. The inevitable Internet of Things is already taking shape, absorbing the world of consumer devices and hovering on the horizon of industrial manufacturing. The necessary ingredients for creating the factory of the future are already in place (a market full of sensors, new user-friendly web services, faster data communication networks, cloud storage, advanced computing power, and the ability to analyze Big Data intelligently). These elements are guiding the factory of the present – the factory that has been largely unchanged for more than 30 years – toward the Industrial Internet Revolution. Devices, data, and systems will continue to draw closer to one another over a single web-based medium. In this climate, companies face the formidable challenge of adapting to the change or losing their competitive relevance. But there is still time. The Industrial Internet of Things is in its infancy; most discussions about IIoT are no more than theories and manufacturers are only just beginning to dabble in the use of web-based technology. The Internet is not going to hit the factory all at once; the transition to global connectivity will be gradual. In the meantime, businesses have a chance to prepare their operations to integrate seamlessly with this new era of industry by taking steps now to implement digital, automated, connected devices and services. Many of these are already able to share data in real-time, from anywhere, across platforms, even – for some – over Internet protocols. By implementing these tools as they become available, the factory of the present will keep time with the changing landscape of industry until the act of linking to the Internet is simply the next logical step.